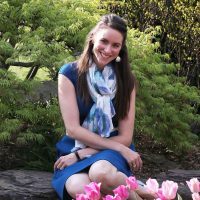 I loved reading Allen’s notes on the soda bread of her childhood, as well as discovering how soda bread came to be what it is in Ireland. 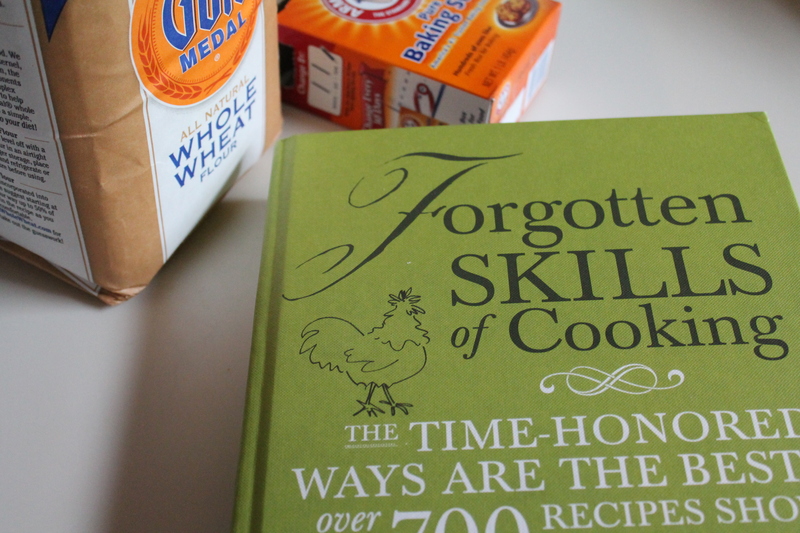 I won’t include all that here, except to say that I chose to make her “beginner’s” recipe because she wrote that brown (whole wheat) flour was typically less expensive in Ireland than white flour, and so brown bread was less of a luxury. I thought my husband would enjoy that particular tidbit…and also, I had all but run out of white flour, so this was my best option on another level, too. Work with what you have! Okay, moment of honesty. Soda bread isn’t my favorite bread in the world. The flavor tends to be a bit flat, and the texture is quite dense. This bread came out exactly that way (which is to say, exactly the way it was supposed to! )—and I thought it was quite pleasant with butter and a nice hunk of Dubliner cheese. It would probably also be excellent with jam, or even as part of a spicy sandwich! I think it was a total success. But if you’ve never had soda bread before, I just want you to go into this experience with reasonable expectations. 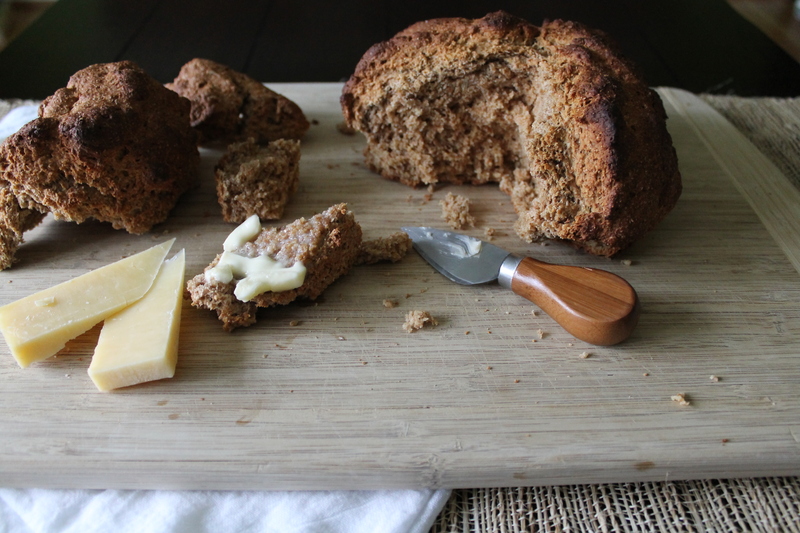 This is the most basic of soda breads, invented out of necessity to feed a hungry people. So enjoy it! 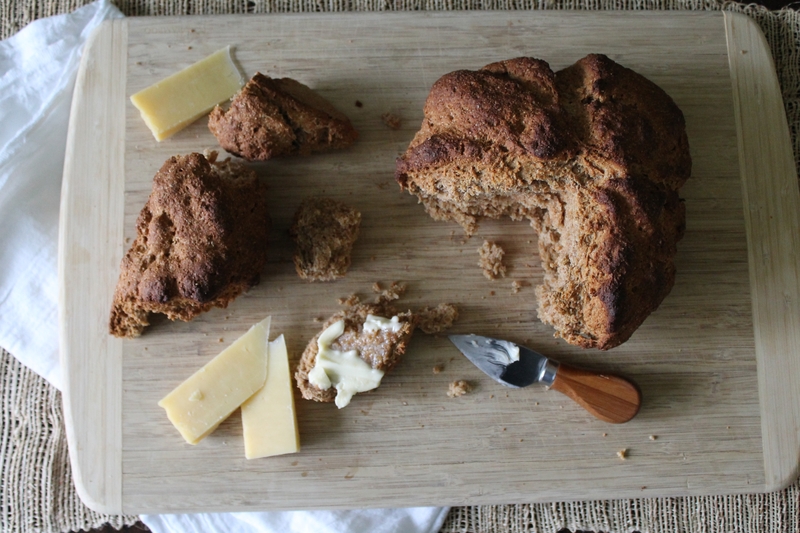 Soda bread is actually a quickbread. And, like all quickbreads, it comes together without fuss or muss! Whisk together all the dry ingredients (side note: thanks to my Irish father-in-law for the hand-milled whole wheat flour that went into this bread!). Darina Allen says to sift the baking soda, which I did. I am guessing this allows it to distribute more evenly and thus better leaven the bread. Pour the wet ingredients into a well in the dry ingredients. Stir them together. Do try not to overwork the dough, as this will make the bread even tougher than it naturally is. However, the dough should turn out rather loose. If yours is stiff, as mine was, then you will need to add more buttermilk. I added about 2 tbsp. more, but I think I will go even further next time. Darina says that the dough should be soft and not too sticky, and if it is not wet enough then the bread will be very heavy instead of airy. After all, steam is also a leavener! 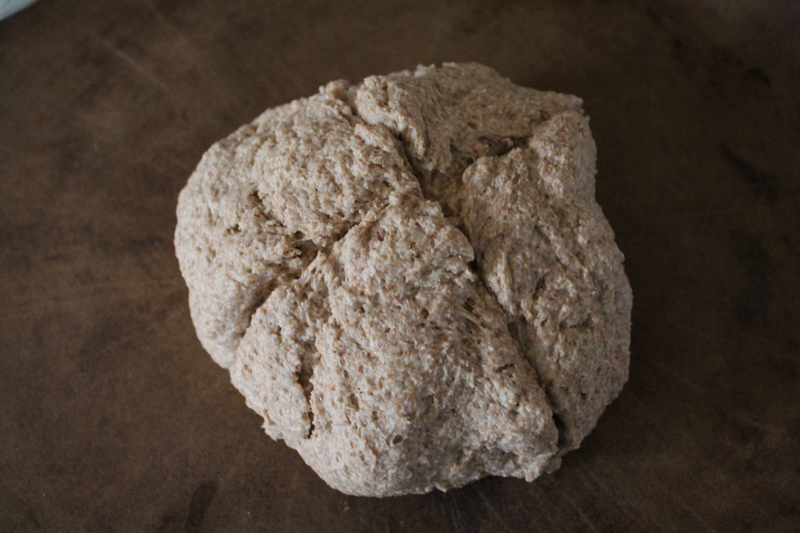 Now pat the dough into a ball and deposit it on a baking stone or sheet. Score a large cross on the dough, going all the way down the sides with the knife as you cut. Apparently, in Irish folklore, this lets the fairies out and/or wards off the devil. But if that’s not for you, I still recommend cutting the bread, which will allow it to expand and heat more evenly while baking. Put the bread in the oven and bake for 15 minutes at 450°. Lower the temperature to 400° and continue baking another 30–45 minutes, until the top is browned and the bottom of the bread sounds hollow when you knock on it. Serve with your favorite condiments or cheeses! Soda bread is best on the day it’s baked. Lightly beat the egg, then add it to the oil, honey, and buttermilk and mix well. 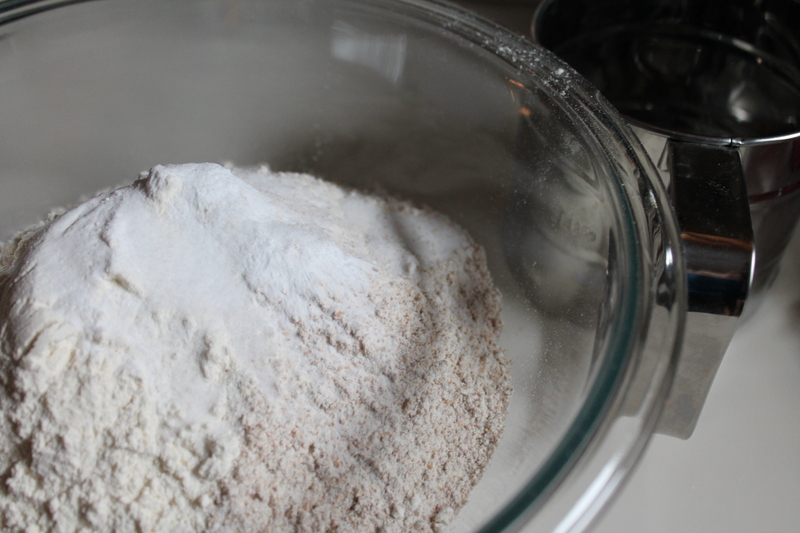 Make a well in the center of the dry ingredients and pour in all the liquid. 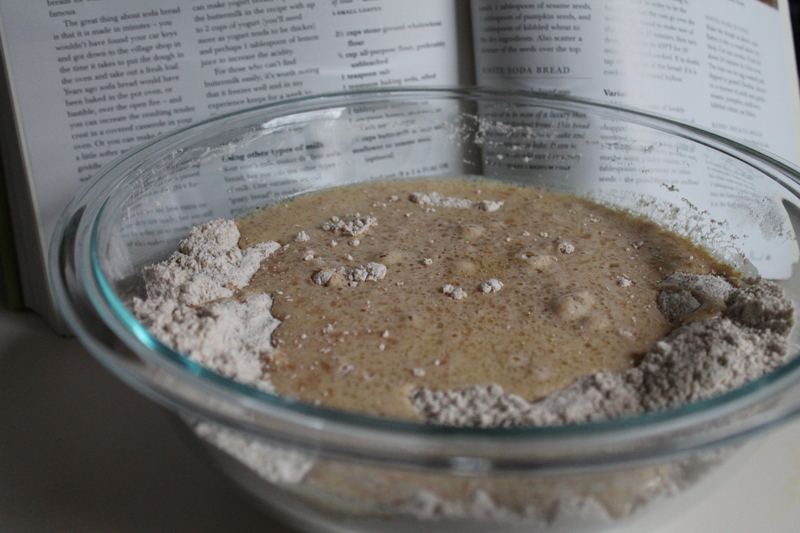 Mix well, adding more buttermilk if necessary: the mixture should be soft and slightly sloppy, but not too wet. Form the dough into a wide ball and set it on a baking stone or heavy duty, nonstick baking sheet. With a sharp knife, cut a deep cross on the surface of the bread (sides as well as top). Bake for 15 minutes, then lower the oven to 400°. Continue baking for 30–45 minutes. Tap on the bottom of the bread; if it is cooked through, it will sound hollow. Let the bread rest for 10 minutes before breaking apart or slicing.